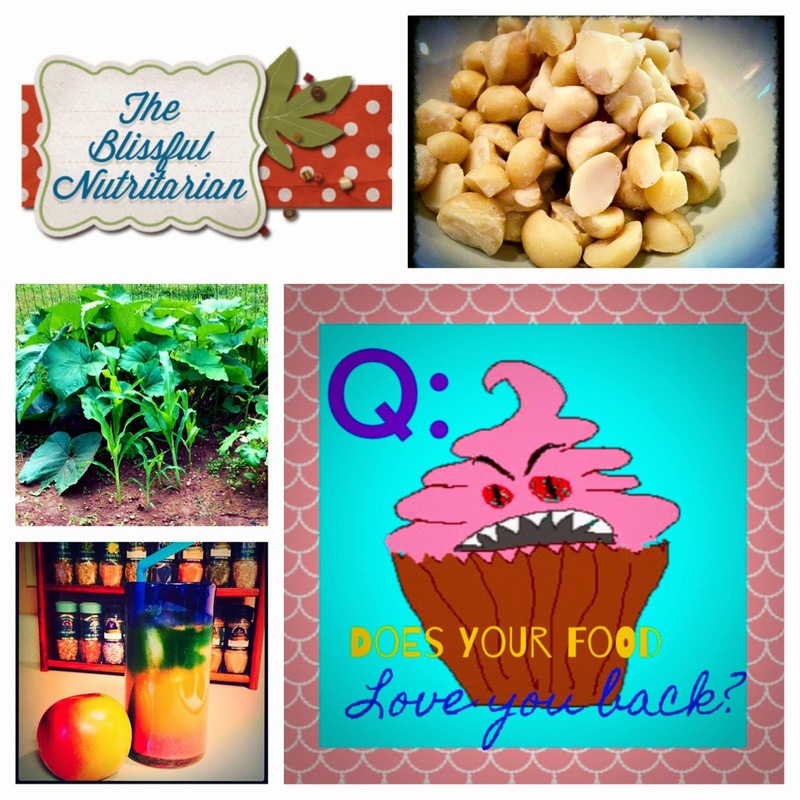 The Blissful Nutritarian: "A" is for Avocado! The Three A's: Artichoke, Asparagus and the mother of all of these to me, Avocado! A deliciously ripe Australian Avocado! Now, there may be some of you out there who will immediately, riiiight about...NOW be making the "yuck!" face. I hear you! I was once akin to you! But those days are in the past, because now, as a nutritarian, my tastes have morphed and changed into a completely different preference set and I love, love LOVE me some avocados like you simply would not believe! Seriously, being a nutritarian changes your tastes so dramatically you truly have no idea what you will like until you just "Nike it baby", and do it. It truly is amazing what your body is capable of if we would only give it a chance, and allow it to thrive in the best way we know how. But I digress (what's new, right?) back to lunch. So, I get all excited at my discovery and the prospect of something especially tasty for lunch and slice my avocado in half. The color is amazing, gorgeous even! Such a creamy pastel mint green with a hint of moss color. I find it relaxing just to look at it. Something comes to mind when I think about it, sunshine, sea birds, a hammock swaying gently in the wind while a comfortable enveloping tropical breeze tousles my hair...coconuts in the trees...cool cucumbers on my mind LOL. Oh what this stuff does to me! Seriously, don't ever let me catch you saying foodies cannot become nutritarians because they love "food" too much. That is just a bunch of baloney! Literally. I am proof, it's a romance! Enough already, onward! So, as I am eating it, I decide to look up the nutritional data to find out just how many phytonutrients and macronutrients this bad boy contains. The information available is amazing, this is perfection. It contains so many important nutrients and antioxidants/photochemicals we need in one food and while quite calorific, contains enough mono/poly unsaturated fats to make our hearts happy and offset any saturated fats we get from our nuts and seeds. Delish. It is naturally anti-inflammitory, and contains Lutein a plenty, one of the 600 known carotenoids, this one known to prevent damage to the retina as we age. Anyone out there have glasses? Mmm hmm. Avocado, baby. In the eyes, Lutein actually was found concentrated, according to the Wiki link here in the retina. The hypothesis (reason they believe it goes there when we eat it) states it is there to absorb "blue light" which causes oxidative stress to the retinas, which would other wise have been damaging it over time leading to macular degeneration. It is also shown to play an important preventative role in the development of cataracts. -Avocados contain 20 essential nutrients including fiber, Vitamin E, K, C, B vitamins, magnesium, riboflavin, iron, niacin, pantothenic acid, phosphorus, zinc, copper, manganese, potassium, selenium and folic acid. 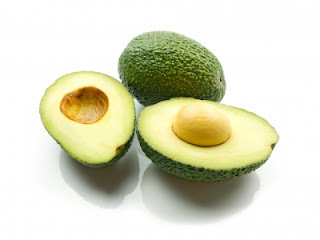 -They act as a "nutrient booster" if you will, enabling the body to absorb fat-soluble nutrients such as alpha and beta-carotene and lutein, when eaten in tandem with the avocado. According to this site, the avocado's anti-inflammitory qualities come from it's rich concentration and variety of phytosterols. Phytosterols in avocado play an impressive role in the prevention of conditions such as rheumatoid arthritis and osteoarthritis. Among it's other benefits, it is being shown as an anti-cancerous food, relating to mouth, skin and prostate cancer prevention and blood-sugar regulation. In one study, it was shown to actually increase oxidative stress in cancer cells resulting in those cells, for lack of a better description, self-destructing. Meanwhile, in healthy cells, the opposite mechanism is observed where as the healthy cells are shielded from oxidative stress! Amazing. Information abounds online, if you are interested in reading more I now release you into the "cyber wild" to go on safari for avocado knowledge a plenty! I don't know about you though, but I for one didn't need to know any of this to know that avocados are delicious and I want to eat them almost every day! And most days, that's just what I do. They are delicious, and that is the end of it. I hope you enjoyed learning more about this gorgeous and rich little treat of nature, now go get one for yourself! I recommend simply cutting them in half, taking out the pit, and sprinkling them with a little bit of my favorite no-salt no-potassium seasoning "Table Tasty" available from Benson's Gourmet Seasonings. If you are curious, one of my previous posts in the "My Secret Weapon Series" covered a thorough review of Table Tasty. To this day, I would never wish to live without it! Delish and heart healthy. Now that's what I am talking about!